The developer team over at Reddit has been working hard on an official app for a while. During the time that there wasn’t an official Reddit app, many other third-party app developers filled its place. 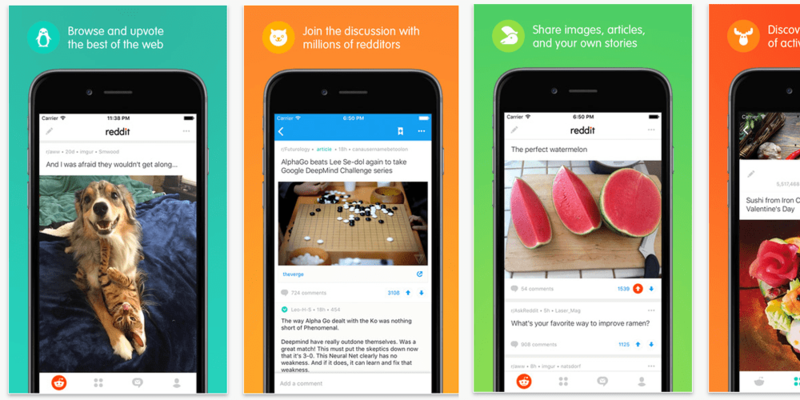 Today Reddit has officially released their own, official app. Reddit’s new app features inline pictures, a night theme, different views (compact and card) and simpler, easier navigation. Their VP of Consumer Product, Alex Le-I, wanted to make it abundantly clear that people using third-party apps should continue to use them if they favor them. Le-I also stated that the team would continue to support their free public API. This means that users of third party apps don’t need to worry about eventually getting shut out due to lack of support. It would appear as though the initial app release is just the start of things at Reddit. The team is taking into consideration all of the bug reports and feature requests that they have gotten and are working on future updates already. The app can be downloaded from the Google Play Store [Here] and App Store for free [Here]. Be sure to check out the app if you use Reddit and you can post any feature requests or bugs here. If you currently use a third-party app, what are you using? Will you be switching over, now that there is an official?